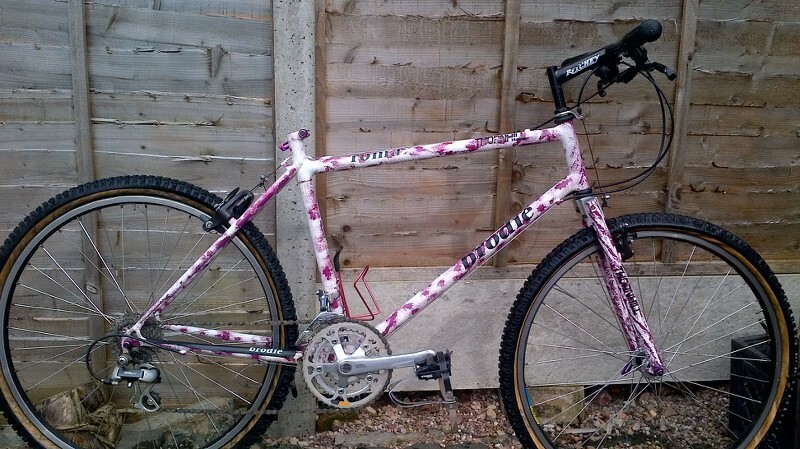 I've been sitting on this for several months whilst I completed my 1990 Kona Titanium. Some might remember it from a one time poster back in April 2013 and a subsequent unsold eBay auction. I've been chatting to a few people about it and decided that, since I'm not too sure on the build, that I should get it up here for comments and perhaps some ideas. Last edited by raidan73 on Thu Jan 15, 2015 10:33 pm, edited 2 times in total. a beauty. will be watching. Ain't that too big for you? Yes, agree with most of the above, keep it nice and simple to not detract from the beauty of the full fillety goodness of the frame! I do love that paintwork! Amazing, glad someone saved it! Adrian, another great find after the cool Kona/Merlin. Congrats! Lovely bike with a super cool paint job.